Ubisoft’s Rayman Adventures is a mobile platformer for iOS and Android that’s based on the old Rayman games. And in here, you will be going on amazing adventures through different worlds as Rayman and his Viking companion Barbara seek to save the Incrediballs. According to Ubisoft’s description, this game takes place as the eggs that keep the sacred tree alive have been stolen and scattered across the world. Your objective is to find those eggs and bring new life to the sacred tree; that means collecting all of the Incrediballs and unleashing their power as you take on new and exciting adventures. 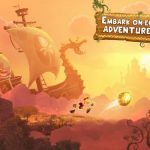 Talking about the game’s genre and mechanics, Rayman Adventures is a side-scrolling platformer with an endless element. 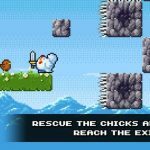 While thi is an auto-running game, there are some challenges you have to be ready for, including different obstacles, progressively harder levels, and once again, all those Incrediballs you have to rescue. 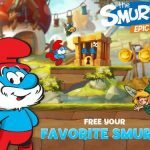 But feat not, as we can help you overcome these challenges, and start the game right, with our list of Rayman Adventures tips, tricks and cheats. 1. What Can You Do While The Game Does The Running? 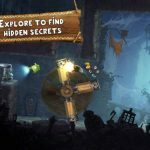 As Rayman Adventures is an auto-runner, all the running is done by the game, but there are other things you should be doing while the game does most of the work. In fact, we should say “some” of the work, as the things you can do here on your own will be very important in the long run. For starters, tapping allows you to jump, while swiping forward lets your character unleash an attack. If you tap while your character is on the wall, they’ll jump off immediately. Swipe down and you’ll be attacking the floor. Lastly, swiping the opposite way allows you to make your characters turn around and run the other way. After rescuing eggs, you’ll have to wait a while as they incubate inside the incubator (natch). And as you collect more eggs and add to your total, it will take longer for them to incubate. That’s the general rule, though it’s also worth noting that rare creatures take longer to incubate than mere common ones, or those labeled as uncommon. 3. What Do You Get From The Eggs? One of this game’s main objectives, as we mentioned, is to collect eggs, and creatures will hatch from them when they’re incubated. Green Pieces allow you to find more Teensies, Rhinoz increase your attack power against the game’s bad guys, Snifflers break through ice. Those are just some of the more common examples, but if you’re in doubt of where to find a creature’s eggs, you can always tap on the question mark next to the creature’s name for more information on where to find their eggs. Gems are the premium currency in Rayman Adventures, and you can get more by watching ad videos at the in-app store. You can also go back to levels where you have scored less than three stars (three-starred levels mean you can no longer get any gem rewards), and try to beat your old score. Additionally, you’ll be gifted with free gems if you exceed a certain score.